A must have for cap collectors! 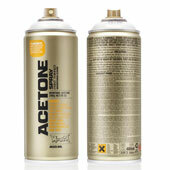 Montana ACETONE spray aka CAP CLEANER is a universal thinner and cleaning agent that is transparent in color. Removes residues of paint, lacquer, silicone, wax, tar, de-greasing. Suitable for pre-treatment before painting objects or to remove paint residues after painting. 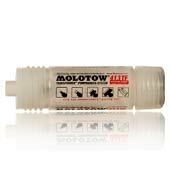 Can be used on porcelain, glass, ceramics, blank metals and others. Evaporates quickly without leaving residues. This product was added to our catalog on Friday August 25, 2017.